The holiday season is in full swing here at our veterinary clinic in Pickering. We have had many enjoyable visits from clients and we have received great cards and gifts. Thank you to all. I wanted to pass along this article from Pet Poison Helpline as a reminder that some holiday items can be harmful to your pets. 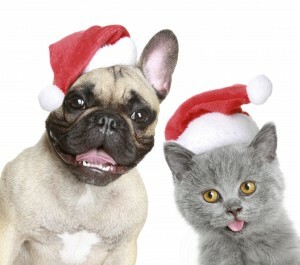 Pet Poison Hotline Article: The holiday season is a magical time to reconnect with family and friends, deck the halls, and celebrate the spirit of giving. Most pets seem to enjoy the holidays too and some are lucky enough to get their own stocking stuffed with new toys and treats. But fun times can quickly turn to tragedy when pets are exposed to potentially poisonous holiday foods, certain yuletide plants, and some common holiday decorations.